Oven, refrigerator, outdoor Refrigerator, ceramic hob. HiFi, tv in saloon. Air conditioning, bath or shower, battery charger, 220V motor 8Kw Generator, Boiler, 12V system, 220V system, bow Windlass. Compass, depth sounder, Log, VHF, autopilot, GPS. Hydraulic gangway, Gangplank of steel and teak, Beach deck. Bow thruster. 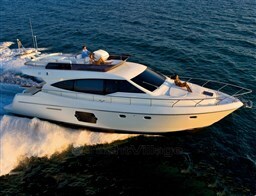 Dear Sirs, I have seen on YachtVillage your offer about Apreamare Apreamare 60 - 2007 (code: 424182). I am interested in the offer and would like you to contact me. Thank you.